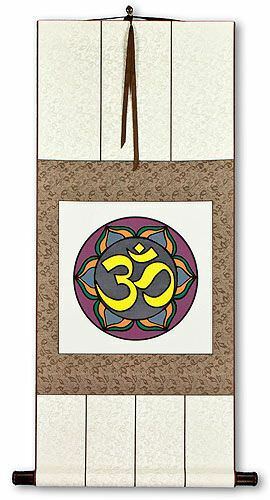 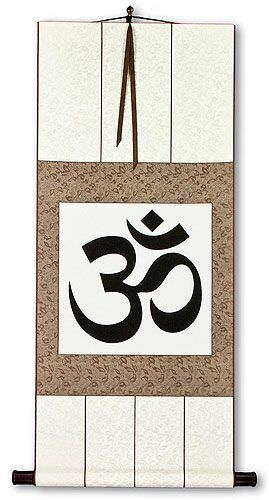 Artwork Panel: 31cm x 30.8cm ≈ 12¼" x 12"
Silk/Brocade: 40cm x 94cm ≈ 15¾" x 37"
Width at Wooden Knobs: 49cm ≈ 19¼"
This is a print of the sacred Om symbol (sometimes romanized as "Aum"). 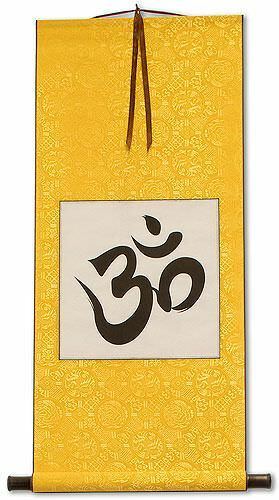 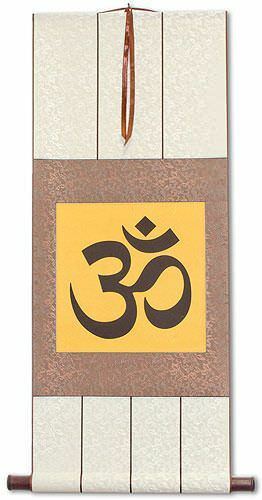 This symbol is used in various Dharmic religions such as Hinduism, Buddhism and Jainism. 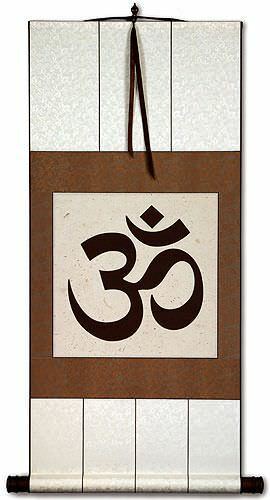 Most will associate this as a mantra and mystical sound of Hindu origin. 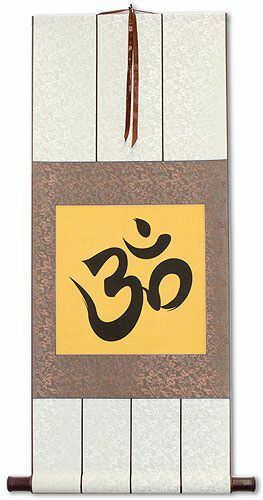 This is printed on handmade Japanese Kozo paper with a high-fiber content (you will see lots of light-colored fibers pressed into this paper - though they don't show up in the images here). 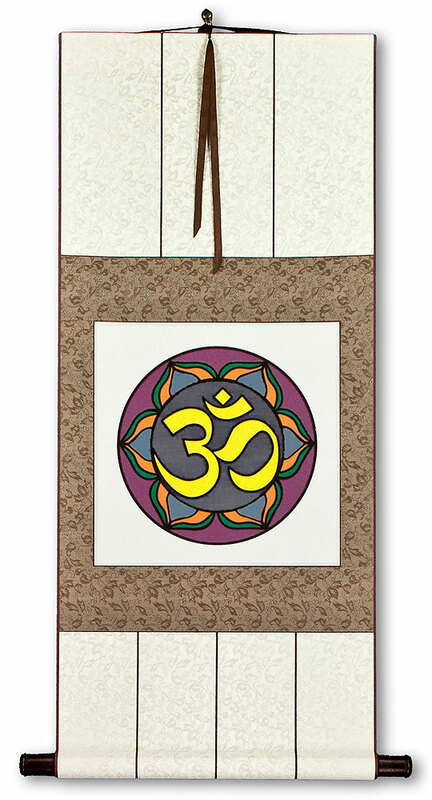 The artwork was then mounted to a handmade two-tone silk brocade wall scroll. 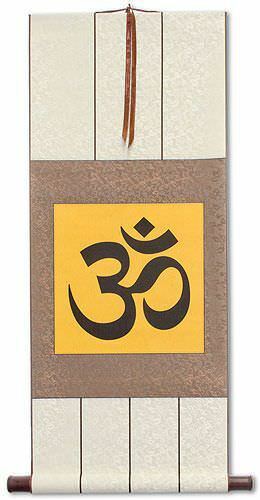 The printed image on the paper of this scroll is also more crisp than it appears in these images. 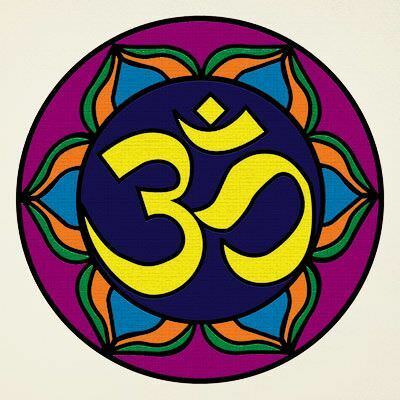 The result is a very unique and colorful presentation of Om. 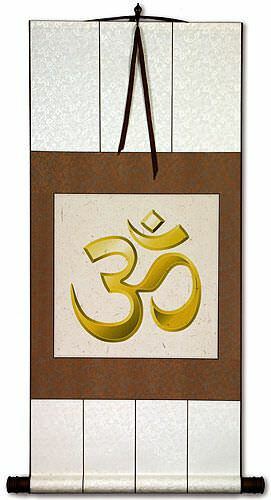 The print was created on a giclee printer with special UV pigment inks. The fine lines and complex geometry would make it impractical to paint this artwork by hand (or at the very least, it would cost 3x more if inked by hand).